African elephants are being slaughtered in huge numbers and are in danger of disappearing within a decade to satiate an unholy thirst for ivory and to fund African crime and terrorist groups. And to make matters even worse, the National Rifle Association (NRA) and several Republican congressmen are pushing laws allowing American big game hunters to bring ivory tusks into the US, all in the name of gun rights. The NRA and its supporters should be ashamed. I had absolutely no idea that ivory could still be imported, let alone African elephants killed for it! Outrageous! All very sad. It’s amazing that we never learn – and we won’t rest till the last elephant has gone. However you image is beautiful. That’s how elephants should be seen. Thanks. I agree. 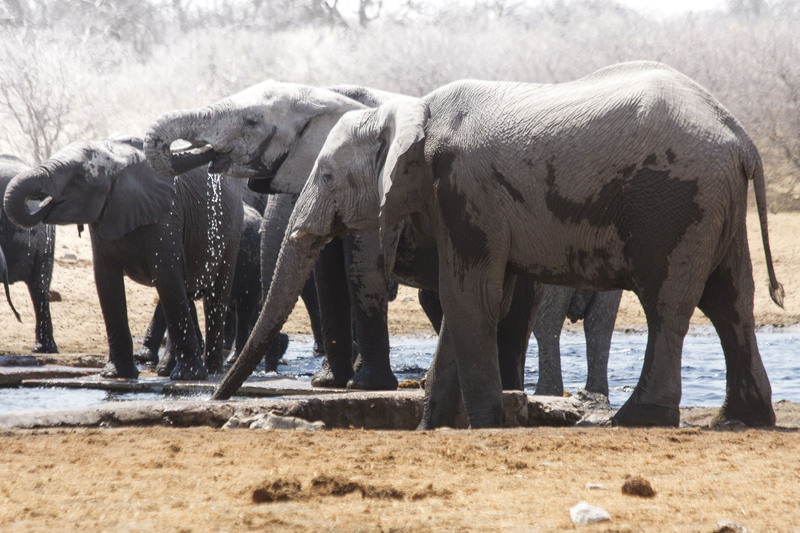 Being in Etosha and seeing the elephants, zebras, and other animals in their natural habitat was as close as I will get to having a spiritual experience. I won’t ever forget it. Hi Marie, human cruelty against the wild animals is so revolting, when I read this kind of digusting news I don’t have doubt that the worst animal on Earth is the humans. Thanks for sharing, have a great Sunday! PS: I love your quotes down here! Hi. Hope your Sunday is going well, too. I was so moved by the wildlife in Namibia. I can’t believe people can kill them so senselessly.